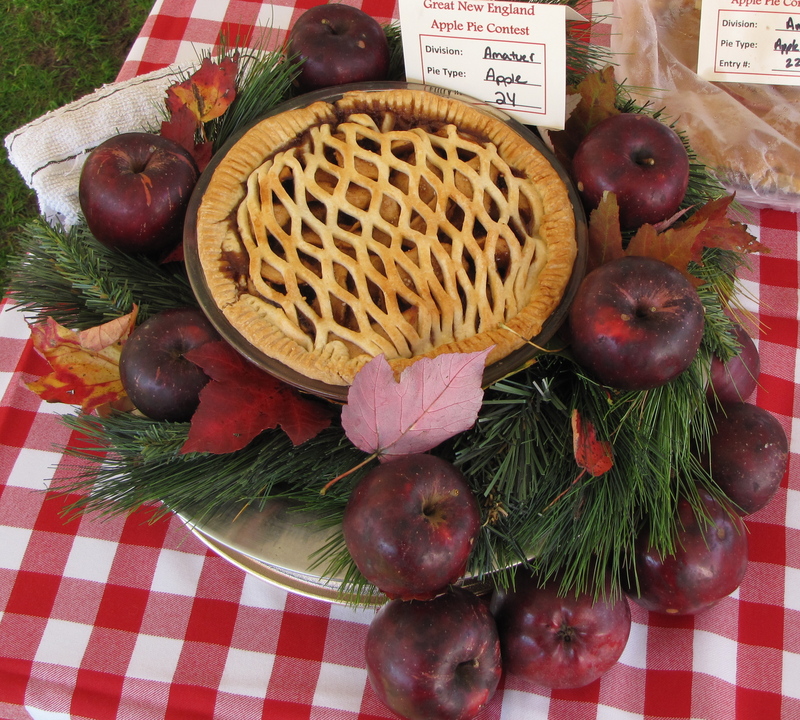 THE BIG WINNER at Mount Wachusett AppleFest’s second annual apple pie contest October 15? The Cortland. 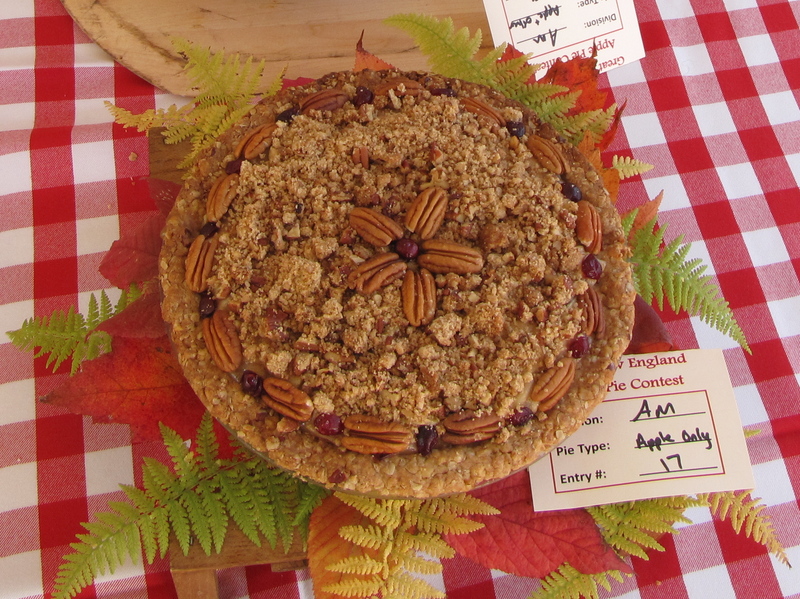 It was the only variety used by both winners: Julie Piragis of Athol, Massachusetts, in the “apple only” category, and Elinor Ives of Sturbridge, Massachusetts, whose pie was chosen as the best “apple and other” pie. 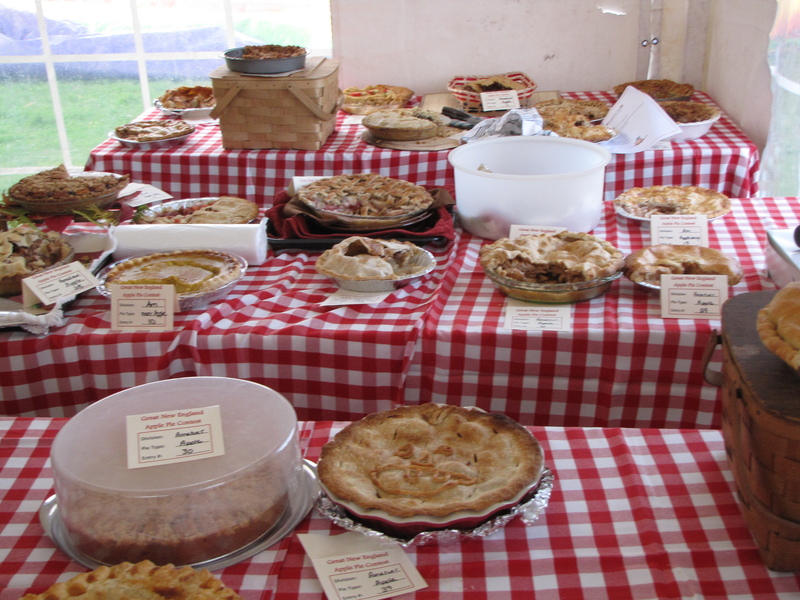 Both winning pies had outstanding crusts, were nicely spiced, and beautifully presented. Their selection affirms what chefs have known for more than a century: Cortlands make an outstanding pie. 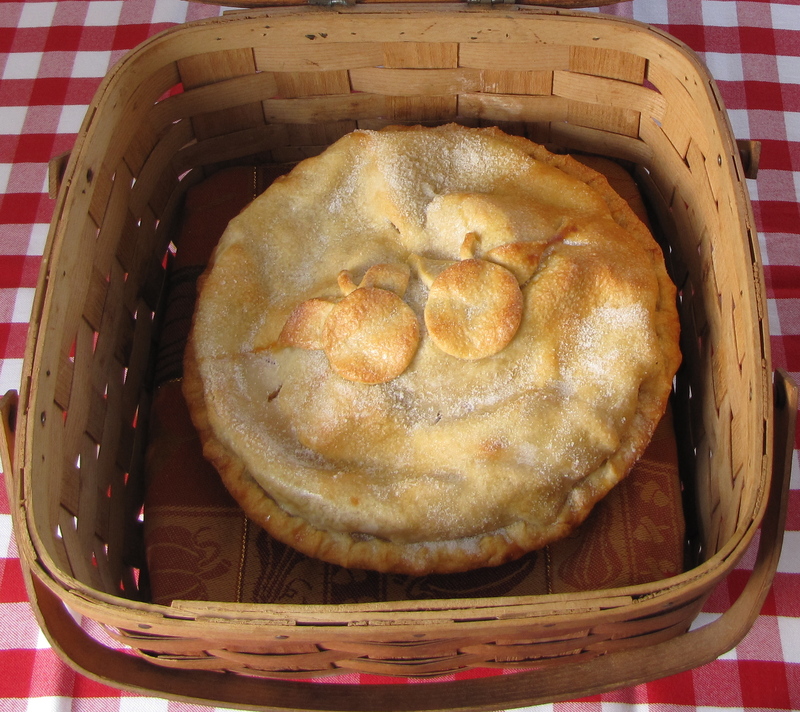 While experimenting with several apple varieties can result in unusual textures and flavors, Julie and Elinor demonstrated that a single variety of high-quality apples can carry a pie as well. The key is to start off with the best fruit. 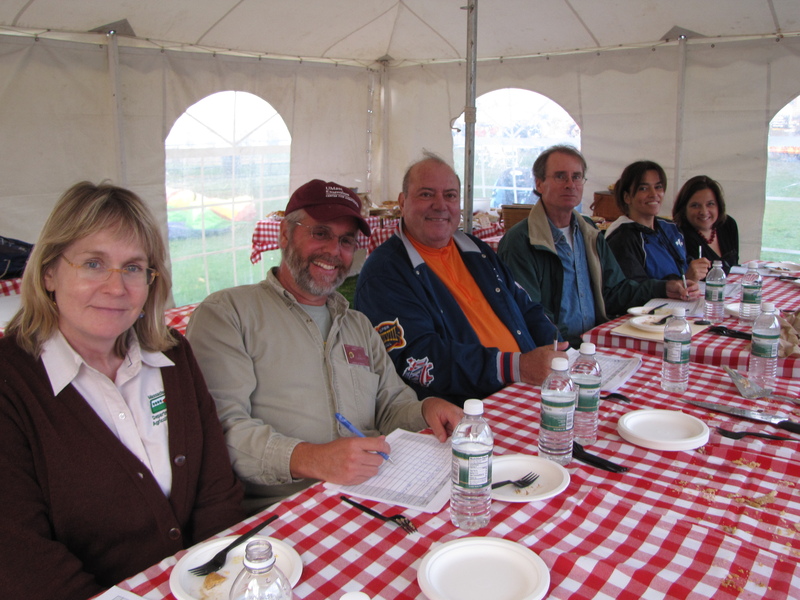 A week after the AppleFest contest, we sampled four apple pies also made with single varieties, including Cortland. They were so good that it was hard to choose among them. 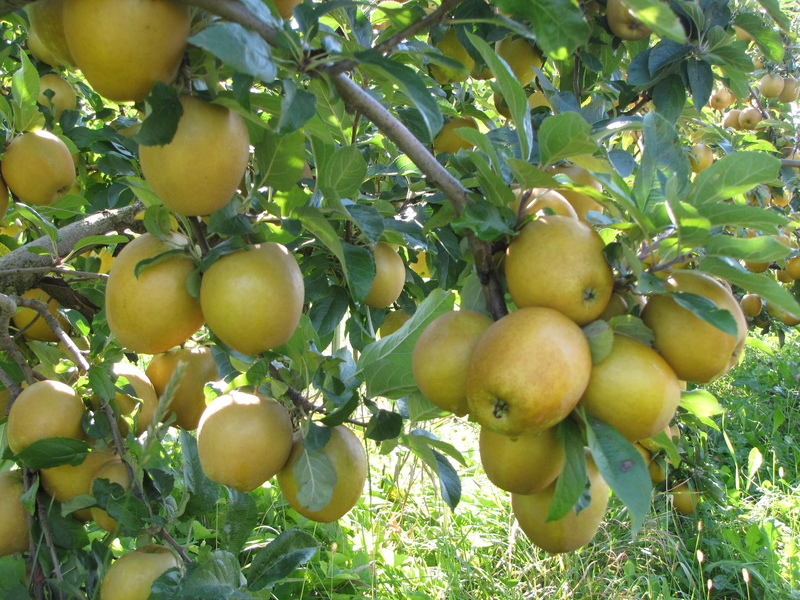 But in our informal taste test, Cortlands finished last, behind McIntosh, Mutsu, and Empire (even by Gerri Griswold, who made them)! 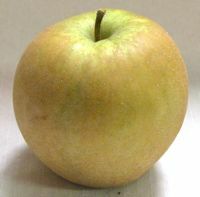 Apples can vary from place to place, and season to season. 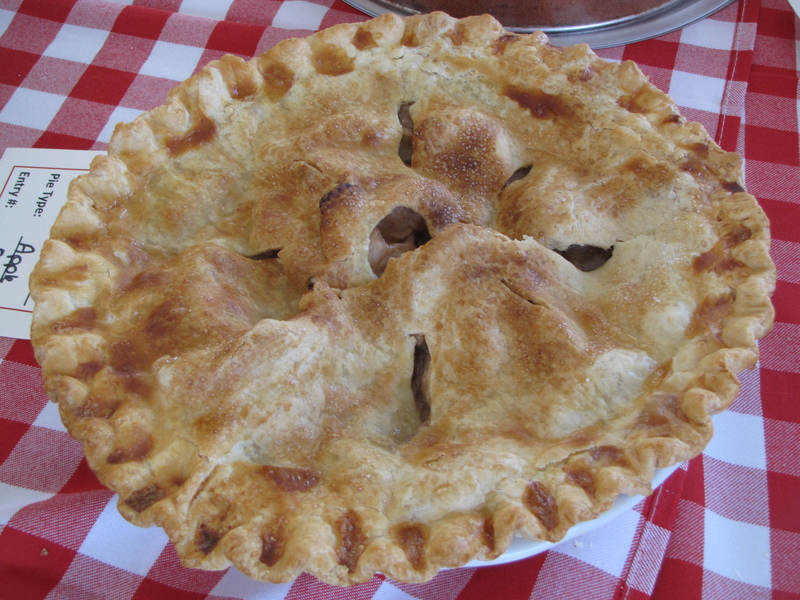 Always begin with firm, fresh apples when making a pie, and taste them first to ensure that they are at peak flavor. 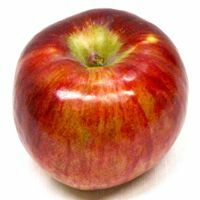 Applesauce is forgiving of a less-than-perfect apple. 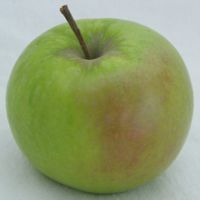 But if you are going to the trouble of making a pie, choose the best textured, and most flavorful, apples you can find. Cortland, obviously, makes an excellent choice. 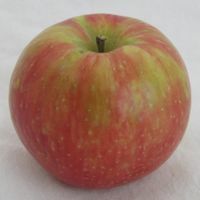 If you think only in red or green when it comes to apples, consult a Cortland to see a stunning example of something in between. 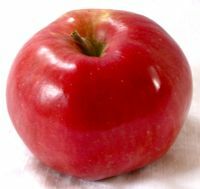 A large, beautiful apple, it comes in shades of deep red with green and yellow streaks. 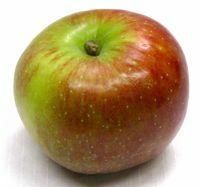 Its sweet-tart flavor is similar to its McIntosh parent, but a little less tangy. 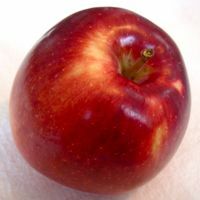 It is less juicy than a Mac as well, and it retains its shape better when cooked. 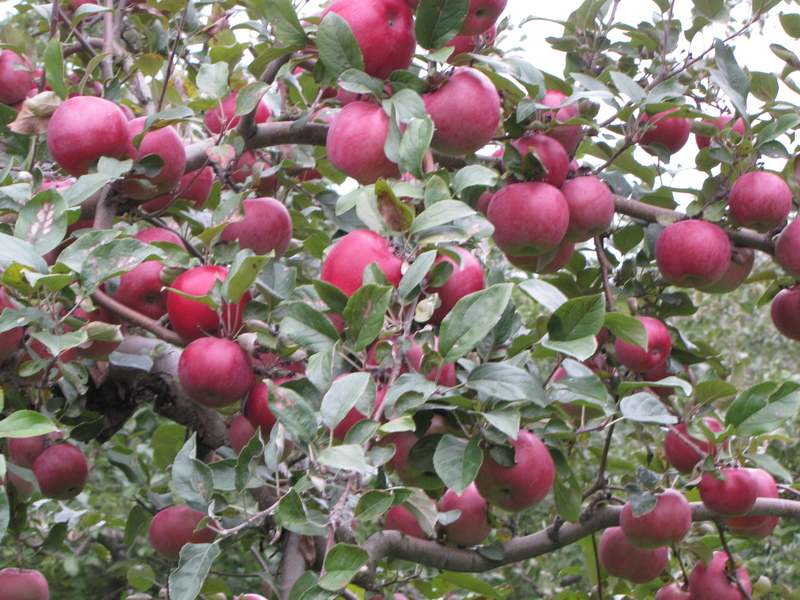 In addition to being a great baking apple, Cortlands are excellent for fresh eating. They are famous in salads, too, as their white flesh browns slowly after slicing. 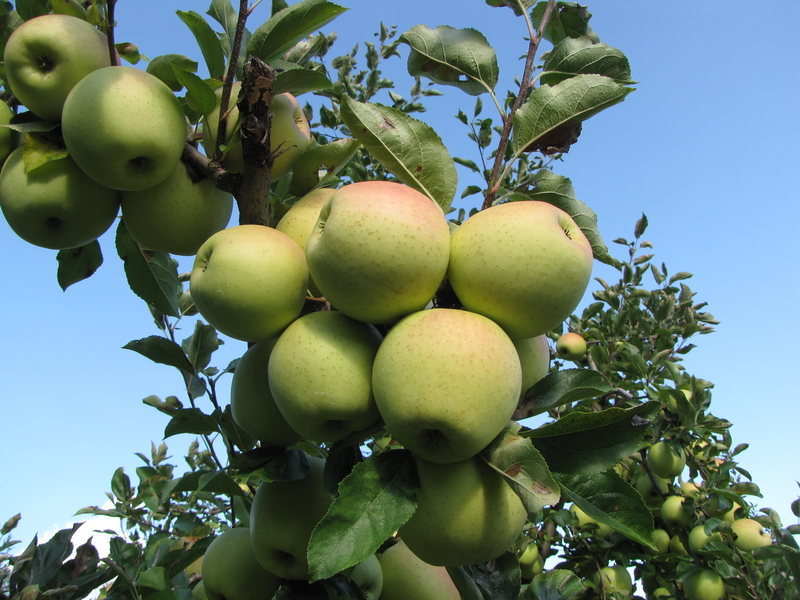 While Cortlands owe much of their great flavor to the McIntosh, their firm texture, striping, and size are attributes of their other parent, Ben Davis. The skin of Cortlands can become waxy over time, another feature of Ben Davis. 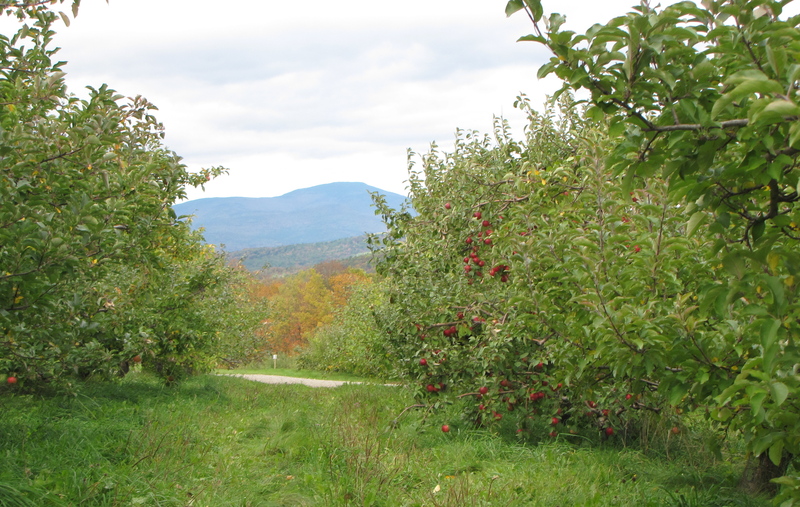 Cortlands were developed at the New York State Agricultural Experiment Station in Geneva, New York, in 1898. Put 2 T butter on top of apples and add top crust. Mix one egg with 2 T Half n’ Half coffee creamer and brush finished pie. 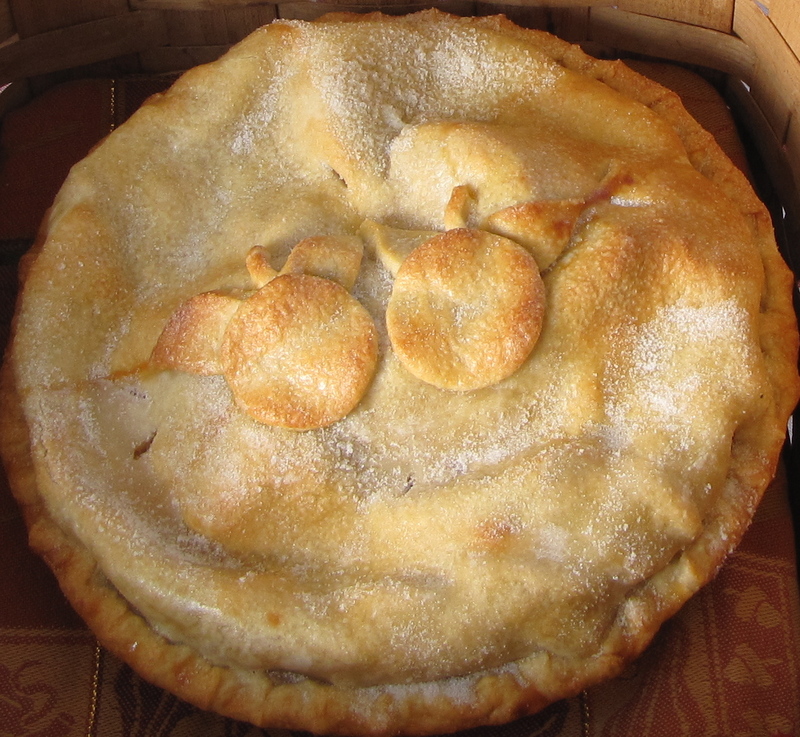 Sprinkle with sugar and bake at 350° for one hour or until crust is golden brown and apples are tender. 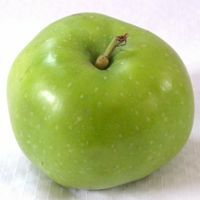 To make filling, melt butter in an electric skillet or a saucepan large enough to hold all the apples. Stir in flour to form a paste. Add water, white sugar, brown sugar, and cinnamon, and bring to a boil. 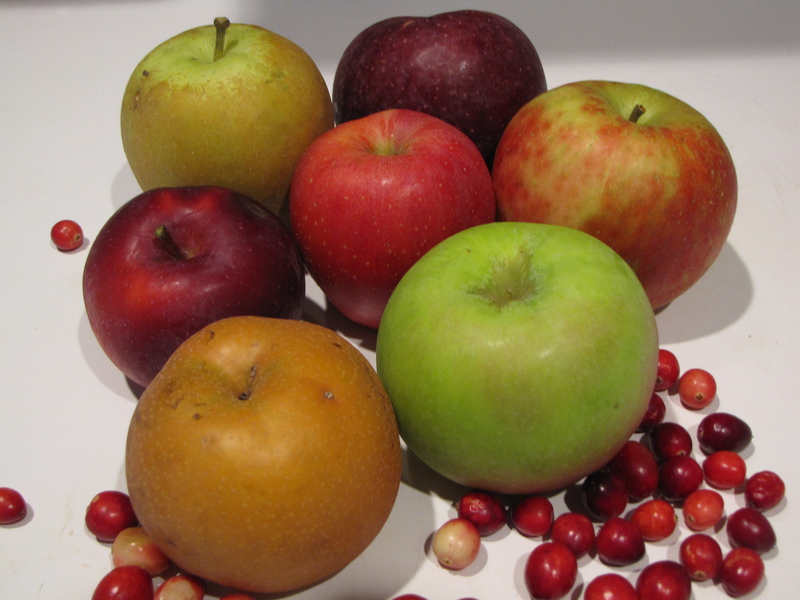 Reduce temperature, add apples, and let simmer until apples are cooked. 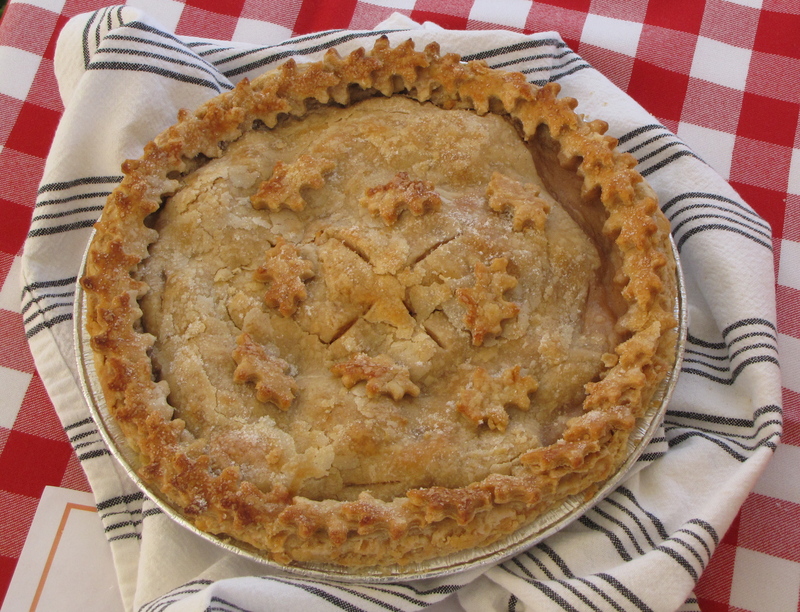 To make the crust, mix all crust ingredients together in a bowl and press into a pie plate. Bake crust for 10-15 minutes or until golden brown. To make Cinnamon Pecan Crumble, combine all ingredients in the bowl of a food processor until crumbly, then bake on a cookie sheet at 400°F for 10 minutes. 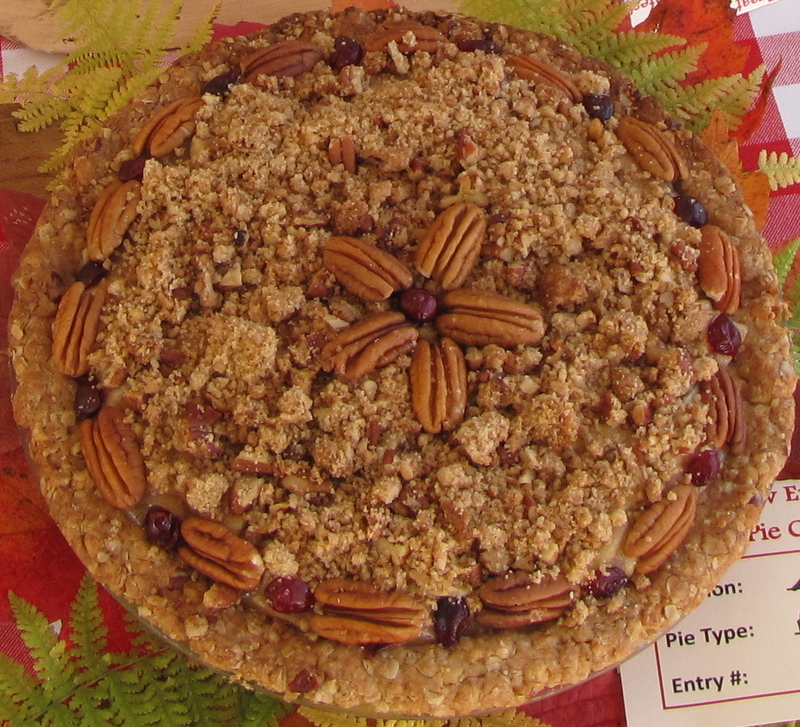 When crust is cool, spoon filling into crust and top with Cinnamon Pecan Crumble. 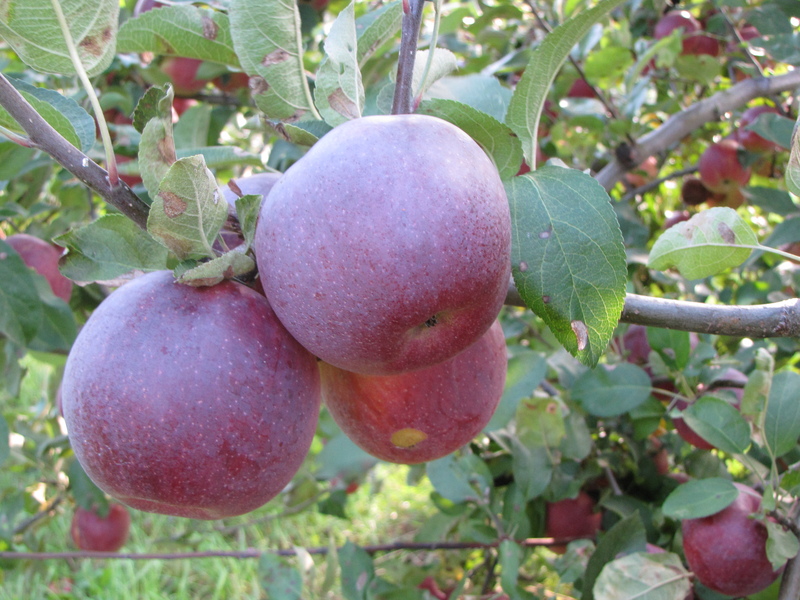 TO LEARN MORE about apples, visit our New England Apples website.